Diabetes is a term we usually associate with persons who are above the age of 40. However, it is not something that affects only adults – it is important to understand that diabetes can affect children too. Before we delve further into explaining how you can identify if your child (whether infant, toddler, pre-teen or teen) has diabetes, we think it is important for you to know that there are, in general, two types of diabetes: type 1 and type 2. Both types of diabetes are chronic diseases that impact the regulation of blood sugar (also known as glucose) by the body. When the body does not produce insulin (as in type 1 diabetes) or does not respond to insulin (as in type 2 diabetes), the glucose that enters the body through food does not enter the cells, thereby leading to chronically high blood sugar levels and resulting in health complications. Type 1 and type 2 diabetes are caused by different factors, although their symptoms are quite similar. Type 1 diabetes is caused due to a faulty immune system which mistakes the body’s own beta cells in the pancreas (responsible for producing insulin) for foreign bodies, attacking and destroying them. Once beta cells are destroyed, the body can no longer produce insulin. On the other hand, type 2 diabetes is caused by an insulin resistance caused by the body. In other words, even though the beta cells produce insulin, the body is unable to effectively utilise it due to the body’s reduced responsiveness. 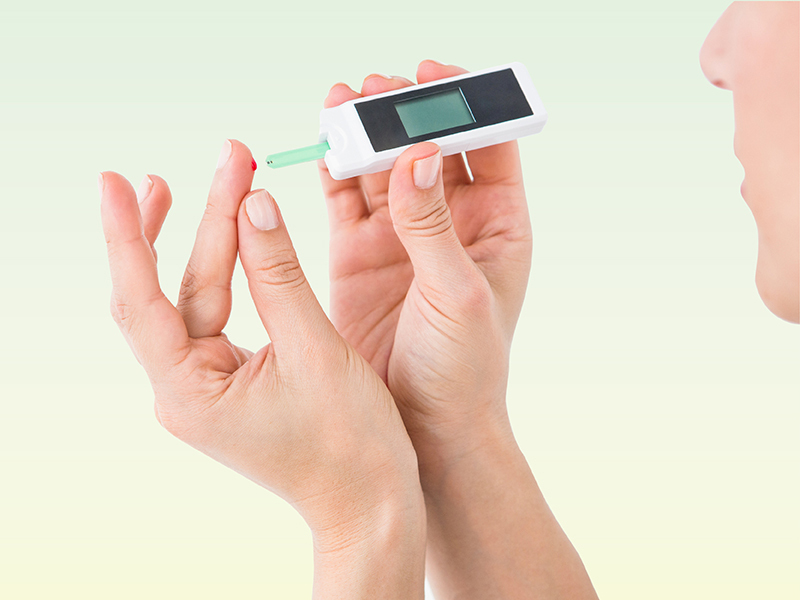 Type 1 diabetes is mostly diagnosed in children and, therefore, is also known as “juvenile diabetes”. Children could get type 1 diabetes while they are still infants, or at later stages during their childhood as well. However, sometimes, people who are in their late 30s are also diagnosed with type 1 diabetes. Although type 2 diabetes is usually associated with adults and known as “adult-onset” diabetes, it is now becoming more common among children owing to obesity and unhealthy lifestyle habits including lack of physical activity, too much screen time and increased consumption of junk food. In a very small percentage of children, though, the cause of type 2 diabetes may be genetic. Symptoms of type 1 diabetes in children tend to appear quite suddenly in children while symptoms of type 2 diabetes develop more gradually and are not easy to identify. In some cases, children with type 2 diabetes may not have any visible symptoms. The lack of insulin makes it difficult for the sugar to move into the child’s cells, causing the loss of energy in muscles and organs. The loss of energy, in turn, increase hunger. However, despite eating more than usual, the child may lose weight rapidly. This is because muscle tissues and fat stores begin to shrink due to the lack of energy. Lack of sugar (and therefore, energy) in the child’s cells causes them to become tired, lethargic and exhibit unexplained drowsiness that sometimes appears as a “drunk” behaviour. This may even affect their academic performance and also cause them to be too irritable. Fruity or wine-like odour may emanate from the child’s body and breath. This is because the body begins burning fat instead of sugar, producing ketones that are responsible for the odour. When the blood sugar in the child’s body becomes too high, it will result in fluid being pulled out from various organs, including the lenses of the eyes. This may cause changes in the child’s vision, with difficulty in focussing clearly. Heavy breathing, difficulty breathing or sometimes, making grunting sound while breathing could all be symptoms of type 1 diabetes. Genital fungal infections may appear in girls with type 1 diabetes, and in babies these may cause diaper rashes. As excessive sugar in the body pulls the fluids from blood tissues, your child may feel excessive thirst, causing him/her to drink water in excess and urinate more than usual. One of the striking symptoms related to this would be bedwetting among children who are already toilet trained. Sores/wounds/infections on the child’s skin may appear to take longer to heal and this could be one of the stark symptoms to watch out for because children tend to fall and hurt themselves more than adults. Insulin resistance, the condition that cause type 2 diabetes, can cause skin around neck and armpits darken in children. This darkening of skin in patches is known as acanthosis nigricans. Although there are currently no ways to prevent type 1 diabetes, type 2 diabetes can be prevented largely by ensuring that your children get enough physical activity by spending time playing outdoors rather than always being seated indoors with a playstation/iPad or smartphone or in front of the TV. You can also go a long way in preventing type 2 diabetes in children by ensuring that they are having a well-balanced diet. If you notice any of these symptoms in your child, book an appointment with a paediatrician to take necessary tests and begin treatment at the earliest. To book an appointment with Venkataeswara Hospitals in Chennai, call 044 4511 1111.